We accept same-day emergency appointments. Call us today at (410) 793-4922. “Where can I get emergency dental care near me?” When a severe toothache or other dental emergency makes every minute miserable, the answer to that question becomes a top priority. 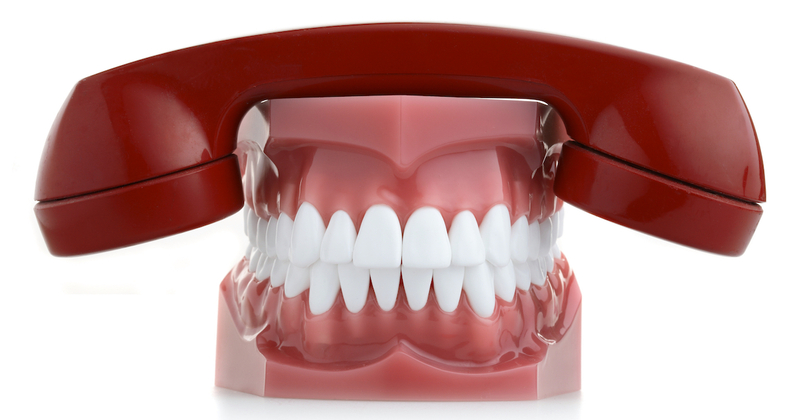 Fortunately, getting emergency dental care in your area is just a call away. When pain strikes or crowns fall into the drain, our emergency dentists in Annapolis are ready to handle all of your emergency dental care needs during our regular office hours. Call our emergency dental office to request care. In many cases, we will be able to provide a same-day appointment. It’s our goal to get you back to your life by diagnosing your problem, relieving your pain and determining whether further care is required to manage your condition and prevent recurrence. We accept dental emergencies and work with doctors to provide care within 24 hours. When Should a Patient Seek Emergency Dental Treatment? I don’t know if my symptoms constitute a true emergency. How can I tell if I need to seek emergency dental care near me? You can feel confident in seeing emergency dental care if you are in pain or suffering from any of the conditions listed below. Treating a broken or fractured tooth is important. Delaying the repair can increase your risk of infection or additional damage to the tooth. Emergency dentists can often save a knocked-out tooth if you treat it with care and reach us quickly. Hold your tooth only by its crown. Gather any broken pieces of the tooth and rinse them clean using warm water. Try to place the tooth back into the socket. You can keep the tooth moist inside your cheek if this isn’t possible. Call us immediately for more detailed instructions. Many conditions can lead to a painful toothache. Always seek treatment for severe pain or pressure sensations, and be sure to let the dentist know about any additional symptoms that you have such as ear pain or fever. If tooth sensitivity occurs suddenly or for no apparent reason, an undetected infection or tooth fracture could be to blame. Seek urgent dental care for sudden, severe, or unexplained tooth sensitivity. Tooth decay is responsible for the gradual formation of deep cavities that eventually expose tooth roots or nerves, and lead to pain. Our emergency dentists can determine the extent of your cavities and provide the appropriate treatment to restore your tooth. Whether it’s caused by traumatic injury, gum disease, or tooth decay, an abscessed tooth can produce severe pain and disturbing symptoms such as facial swelling, fever, open or draining gum sores, and foul odors and tastes in your mouth. If you suspect that you have a dental abscess, call our emergency dental office without delay. Delaying treatment can cause serious complications. If your filling is missing or feels loose inside your tooth, you’re at risk for painful symptoms, possible infections, and tooth decay. Call us as soon as possible to schedule an appointment. A missing or broken crown or dental restoration isn’t just about aesthetics, your unprotected teeth are at risk of deterioration and structural damage. Our emergency dentists will provide a temporary or permanent solution to keep your teeth healthy and your smile beautiful. When the metal brackets and wires of your braces break or shift, mouth irritation and injuries can occur. We can relieve your pain and adjust your orthodontic components to help prevent ongoing problems. Bruxism or nighttime teeth grinding wears down your tooth enamel. If you notice that the condition of your teeth is getting worse, let us reinforce your enamel with strengthening treatments and recommend dental appliances that can reduce grinding habits. Dental conditions such as infections and impacted molars can sometimes produce sensations of sinus pressure. If you’re experiencing unexplained sinus pressure, we can help determine or rule out a dental origin. I have a serious injury that could threaten my general health. Should I contact the emergency dental office near me or seek emergency medical care at a hospital? Certain serious symptoms and conditions that involve the face or teeth require more intensive medical care than emergency dentists in Annapolis can provide. If you experience severe swelling of your face or gums, uncontrollable bleeding, or an impact injury to your head, jawbone, or face, seek medical care at a hospital emergency room or dial 911 immediately. Emergency dental care fees always depend on what types of treatments and exams are necessary to resolve the condition. We can provide an estimate once we know what is wrong. Our emergency dentists accept most dental insurance plans, and you can pay your bill using major credit cards. If you lack dental coverage, we also offer financing options and the DentRite® discount plan. DentRite® isn’t a form of insurance; it’s a program that gives you significant discounts on many major dental services and procedures. You can include your family in your membership, and no usage limits apply. My tooth hurts, but it’s almost midnight. Should I wait until morning to contact the emergency dental office near me? Michelle is the best hygienist ever! The staff here is wonderful. I haven’t had to wait after my appointment time and the Dentist is very attentive to my questions and concerns. Promptness of the appointment time. Personnel are very nice (from the receptionist on up to the dentist). Cleanliness is also very important. I had a very positive experience with Dr. Fooksman and his assistant. Both were focused and attentive to my care. Dr bonic is amazing and I will go to her for all my dental work !!! Dr. Khaleif and his assistant Pat explained everything thoroughly and put me at ease because I am not a good patient. From talking with CJ , the assistant to Dr. Bonnick and Dr. Bonnick, the whole experience was excellent ! Thank you very much for taking good care of me !! This is the very best customer service by a hygienist I have ever experienced. Michelle was very cordial and attentive to my needs, and the cleaning was pain free. Thank you a million!